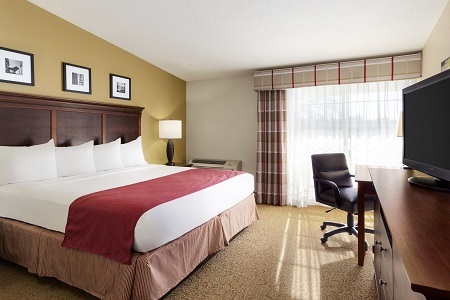 Just off I-94, the Country Inn & Suites® by Radisson, Woodbury, MN places you in a tranquil setting minutes from downtown St. Paul. 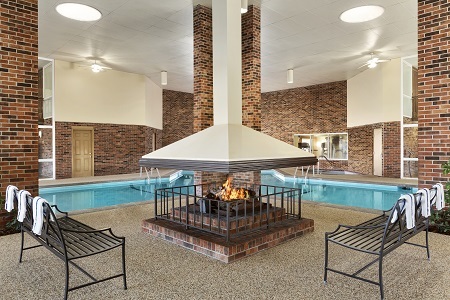 You can venture into the Twin Cities and check out all the exciting attractions, or you can relax after a long drive with a soak in our hot tub. Complete your evening with a burger or a slice of pizza from the on-site Green Mill Restaurant & Bar. Need more room for your family? Book a Studio Suite, featuring a king bed, a double sleeper sofa, two vanities and a dressing area. 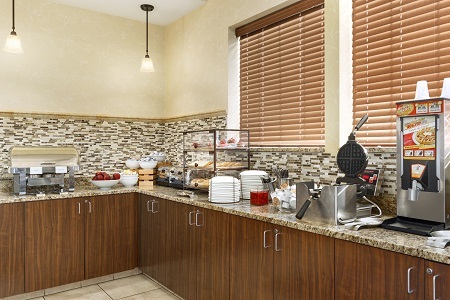 From waffles and French toast to omelets and fresh fruit, the hotel’s complimentary, hot breakfast has something for every palate. If you’re in a hurry, grab a bagel or muffin to go. When hunger strikes again, Green Mill Restaurant & Bar serves savory options for lunch and dinner. Get a little messy with Green Mill’s award-winning deep-dish pizza, which you can order with cheese-stuffed crust. Ordway Center for the Performing Arts – Travel just six miles to downtown St. Paul to visit the Ordway Center, where you can see music, opera, dance and musical theater performances. The venue balances cutting-edge work like The Hip Hop Nutcracker with familiar favorites like Annie. Woodbury Lakes – Only 10 minutes from the hotel, Woodbury Lakes shopping center offers 55 stores and three delicious restaurants. Browse White House Black Market, American Eagle and Banana Republic before enjoying a sushi roll at Osaka. Xcel Energy Center – The Xcel Energy Center offers a constant roster of exciting events, from NHL hockey games to concerts by music sensations like Adele. Located less than 15 minutes from the hotel, the center is the home rink of the Minnesota Wild. 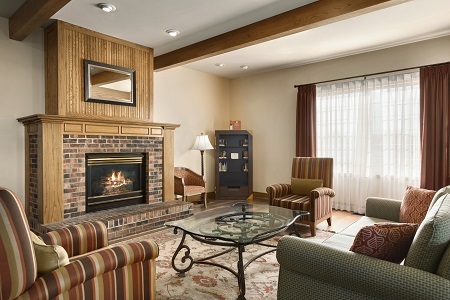 Organize a reception or a seminar for up to 100 people at the Country Inn & Suites. We offer four meeting rooms with free Internet and audiovisual technology, and you can take the stress out of arranging meals by using the on-site catering from Green Mill Restaurant & Bar. We’ll even create a Web page with the details of your event to keep your guests fully informed.